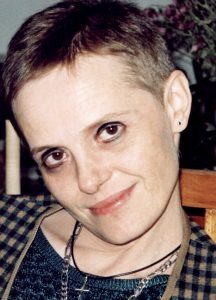 Aura Christi is a poet, novelist and essayist, born in Chişinău (Republic of Moldova), on January 12, 1967. She received her A-Level Certificate from the “Gh. Asachi” Romanian-French High School (1984) and has a degree in Media Studies from the State University (1990). 1983 was the year of her debut; ten years later, she moved to Bucharest. In 2009 she settled in the legendary Mogoșoaia from the suburbs of Bucharest, with its Brâncoveanu Palace, dedicating her life exclusively to literature. She is one of the most important and most challenging contemporary Romanian writers, and a contributor to the country’s most prestigious reviews and publishing houses. Her poems have been translated and published in Germany, France, Belgium, Italy, Sweden, Russia, the United States of America, Bulgaria, Albania. She is Editor-in-Chief of the Contemporanul review, one of the oldest in Romania (1881), which she has revived as a successful monthly. 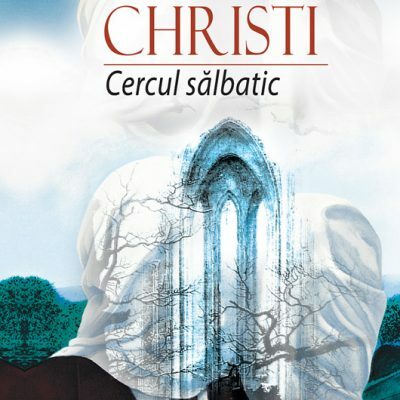 In 2006 Aura Christi launched an Appeal for the Salvation of the Living Romanian Culture, signed by approximately 900 Romanian personalities throughout the world. She is a member of the English Writers’ Union and of the PEN Club. Reputed publishers outside Romania brought out books by Aura Christi, such as: Geflüster / Șoptirea (Whispering), a bilingual German-English collection of poems, translated into German by Christian W. Schenk, Dionysos Verlag (Germany), 1994; Elegien aus der Kälte / Sfera frigului (Sphere of Cold), trans. Edith Konradt, Pop Verlag, 2008 (Germany); Arkitektura e natës / Arhitectura nopții (Architecture of the Night), Kopi Kyçyku, 2008 (Albania). In The Letters’ Symposium, Aura Christi interviews personalities of Romanian culture. As an editor, she has published Colloquies on the Romanian Novel (2001), Breban · 70 (2004), The Shock of the World-Changing Crisis (2011), etc. In 2012 she launched a literary Manifesto, entitled “The Resurrection of Modernism”, in which she is pleading for the rebirth of Romanian literature through a return to its modernity. She has published over twenty books. 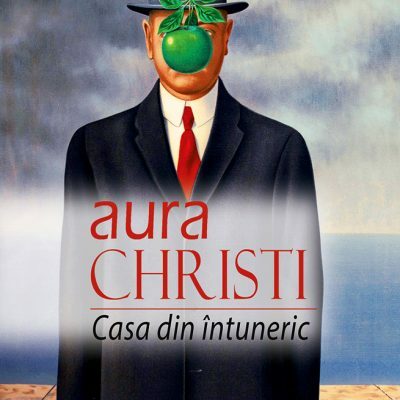 ● (Romanian) “Proudly titanic, the Elegies written by Aura Christi probe the divine identity of the poet, of the being in relation to the self, and they are never separated from a subjective participation, even if it is one that engages an ahistorical subject. (…) Most often, however, this subjective participation is raised onto the pedestal of an incandescent idea. These poems about God, death and poetry are all written under the sign of a somewhat instinctive participation in the mystery of existence itself, of positioning oneself in pain. In all, a hymnal, solar, solemn poetry, with rough syntactical seams, as if deliberately refusing shallow rhythms, and being grounded on the cornerstones of devotion and of a creed that is fervently upheld, almost to the point of fanaticism. Throughout Aura Christi’s poetry, which is unique in terms of its themes and expression, and in which the self adheres to an elevated didacticism, attitudes materialize in a Titanism in which divine praise and self-dissolution are the face and the reverse of one and the same discourse. This is why in their severity, the statements sometimes sound brutal, revealing that her entire lyrical work is written as poetry of conception (…). ● “The last chapter […] , which focuses on a mystery of eerie charm, the mystery of Mishkin’s ‘idiocy’, may be called a masterpiece without any doubt or reserve. The essayist dares to change the perspective on a famous and cryptic character, covered in overlays of exegesis, often forgotten by the new generations of European critics, and surprises her readership through unexpected associations and revisions in sharp contrast with dry academic discourses. Admirable are also her candour and irrepressible need to understand values which are symptomatic features of the authentic, creative mind. Eternal and permanently modern values, actual and also outside time, defying fashions, passing trends concocted mostly in universities, filled with their stuffy air and finding release in naive and improvised positions. The need to put an end to confusion, to decadence and the decay of values in Continental art and science will now and then force overt protests through clenched teeth and muted mouths. This is an essay which, along with a few others, connects us with that past of Imperial Europe, that ‘kingdom of the spirit’ mentioned by Faustus, as well as with the author, the romantic in classical guise who prophesied the cultural union of Europe for the first time” (Nicolae Breban, România literară, nr. 46, 2012). The first volume of the novelistic tetralogy Night Eagle features, at the heart of the narrative, the sculptor Andrei Rogujiv, who is working on the anniversary portrait of a famous professor. The atmosphere is tense, the air is thin, and the protagonists are caught in the middle of an identity crisis, as they attempt to regain their balance in a society that has lost its bearings. The four novels – The Sculptor, The Stranger’s Night, The Big Games and The Lambs’ Snow – form a tetralogy entitled Night Eagle. Although they are part of a vast narrative structure, each novel represents a distinct narrative entity. A novel about murder, debauchery and pathological eroticism, which founders – in Stoic-like manner – in a suicide regarded as fulfillment through death. A dark novel, with culprits lost in the thickets of immorality, with incestuous siblings and saints who are defeated by the death of their loved ones, yet chanting, nonetheless – from the Dostoyevskian underground – about the will to power, the will to believe in a decrepit world, lost in the valley of an endless decline. The entire novelistic corpus is packed with stories strewn with the unpredictable, both real and fantastic at the same time, with suicides, dramas, insoluble situations, sudden reversals that exceed all calculations, and destinies turned upside down. Aura Christi proposes epic-scale narrative projects, approaching motifs like the master-disciple relationship, for instance, lifedeath, love, and sacrifice – all major themes of literature. 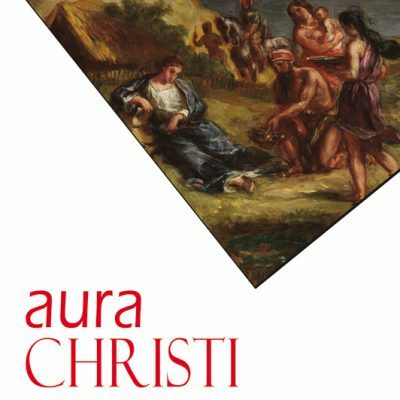 ♦ “From a would-be outsider of the 1990s’ generation, Aura Christi has turned out to become an overtowering figure among her congeners, recuperating (literary) ground through rather a spectacular coming of age.” (Mihail Galatanu, Flacara, March 2008). This is the history of Matei Naidin, a post-adolescent, fatherless young man who refuses regimentation and chooses Semion Ruda, a professor and a specialist in the history of mentalities, as his master. A mock detective novel, with a classic scenario of initiation, packed with biblical symbols, a novel that is read with bated breath, focusing on a major theme, the master-apprentice relationship, and probing the essential reality of being. When it came out, the novel had contradictory reviews, ranging from denial to unconditional praise, which has ensured its success. A dramatic novel about a young woman who, sensing that she exists is a savage circle, spends her life in atrocious loneliness and has a few limit-experiences, eventually resorting to suicide as a last attempt to save her inner purity. The gesture of Diana Belinsky, the heroine of the book, is a refusal to become like the others around her, to accept this game in a circle of aggressive, self-sufficient mediocrity. The novel probes the individual subconscious of a young woman who exists at the limit of endurance, it scours the abysses of being, and is written in an original key, following in the footsteps of the great masters of the modern novel: F. M. Dostoevsky and Proust. The novelist wrote the novel with her first cousin in mind, Angela, who committed suicide when she was about 36 years old.